Outpatient exams Monday-Friday 7AM-11PM by appointment only. Our Philips Brilliance 16 slice CT scanner can provide images on any area of the body with very short scan times. Using the 16 slice detectors and speedy scan times we can produce detailed images that can also be reconstructed in post processing. We create multiple views from the original images in coronal, sagittal or axial planes and even 3D images. 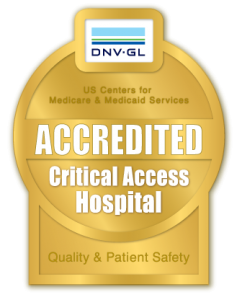 We have software and protocols that allow us to provide the lowest level of radiation possible for all scans tailored to every patient individually. A CT or CAT scan, also known as a computed tomography scan, is a non-invasive medical imaging method that uses special x-ray equipment to obtain cross-sectional pictures of the body. The CT computer displays these pictures as detailed images of organs, bones, and other tissues. This type of imaging can be very helpful in diagnosing injuries or fractures or in identifying disease in its earliest stages. 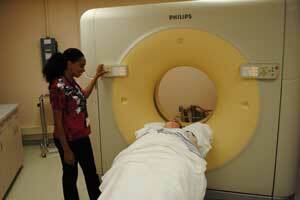 CT is not an enclosed machine; it is open on both sides so there should be no claustrophobic feeling. Depending on the exam ordered (Abdomen/Pelvis) by your provider you may need to be fasting and/or need to drink an oral contrast agent up to two hours before your scan. The radiology department will provide you with these instructions. If your exam requires the need for an intravenous contrast injection you may need to have your blood drawn prior to your appointment. 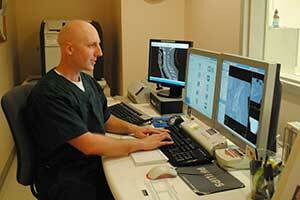 The radiology department will give you this information when you schedule your appointment. You will be lying flat on the CT table. We do have cushions and pillows and will try to accommodate you for the most comfortable position possible. If possible wear comfortable clothing with no metal/buttons over the area we are scanning. We have gowns to accommodate as necessary.